Fish hooks have been around for a long, long time. The basic form, function and design of the fish hook was settled centuries ago. Like knives, forks and spoons, there’s not a lot of room for revolutionary change. Probably the single most notable innovation was the addition of a looped “eye” to what were then call “irons” in the mid-19th century. Today, the fish hook is a global commodity with at least a dozen major manufacturers in Asia and Europe. Many of those brands, especially in Asia don’t even compete in the U.S. market where the likes of Eagle Claw, Mustad, Tiemco, Daiichi, Gamakatsu and others hold most of the market share. One would think that an entrepreneur investing in a new business wouldn’t chose fish hooks as their first product. 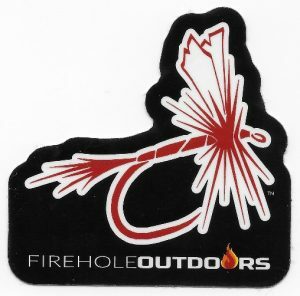 However, recently I had the pleasure to meet one such entrepreneur—Joe Mathis of Firehole Outdoors in Bozeman, Montana. This entry was posted in Fly Tying Materials & Supplies, Mike Cline, Bozeman MT, Our Regular Contributors and tagged barbless, barbless hooks, fly fishing, fly hooks, fly tying, fly tying materials on February 28, 2018 by Mike Cline. Fly of the Month by J. Stockard Pro Tyer: Brandon Bailes, Athens, AL. Brandon’s passion is exploring and fishing small streams. Find Brandon on Instagram. 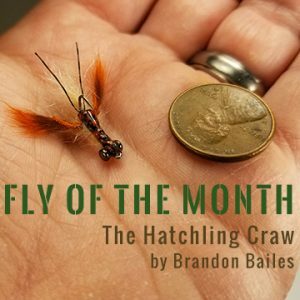 This entry was posted in Fly of the Month, Fly Tying Materials & Supplies, Fly Tying Tips & Tools, J. Stockard Pro Tyers and tagged fly fishing, fly of the month, fly tying instructions, fly tying materials, fly tying recipe, fly tying tips on February 26, 2018 by Brandon Bailes. This entry was posted in Fly Fishing Gear, Michael Vorhis, Fly Fisher & Author, Our Regular Contributors and tagged fly fishing, fly fishing gear, spey casting, spey rods on February 23, 2018 by Michael Vorhis.